Dr. Mircea Dincă is Professor at the Massachusetts Institute of Technology, Department of Chemistry in the United States. He will be giving a colloquium at The Catalan Institute of Nanoscience and Nanotechnology (ICN2) on January 15th at 11:00am, as part of the BIST Colloquium Series. Abstract: Traditional applications of metal-organic frameworks (MOFs) are focused on gas storage and separation, which take advantage of the inherent porosity and high surface area of these materials. The MOFs’ use in technologies that require charge transport have lagged behind, however, because MOFs are poor conductors of electricity. We show that design principles honed from decades of previous research in molecular conductors can be employed to produce MOFs with remarkable charge mobility and conductivity values that rival or surpass those of common organic semiconductors and even graphite. We further show that these, ordered, and crystalline conductors can be used for a variety of applications in energy storage, electrocatalysis, electrochromics, and selective chemiresistive sensing. Another virtually untapped area of MOF chemistry is related to their potential to mediate redox reactivity and heterogeneous catalysis through their metal nodes. We show that MOFs can be thought of as unique macromolecular ligands that give rise to unusual molecular clusters where small molecules can react in a matrix-like environment, akin to the metal binding pockets of metalloproteins. By employing a mild, highly modular synthetic method and a suite of spectroscopic techniques, we show that redox reactivity at MOF nodes can lead to the isolation and characterization of highly unstable intermediates relevant to biological and industrial catalysis, and to industrially relevant catalytic transformations that are currently performed only by homogeneous catalysts. Relatedly, water can be adsorbed in record quantity, providing an exciting avenue for delivering fresh water in dry, water-stressed areas. Biography: Mircea Dincă was born in Făgăraş, a small Transylvanian town in central Romania. He obtained his Bachelor of Arts degree in Chemistry from Princeton University in 2003, and did his graduate work at UC Berkeley, where he obtained a PhD in Inorganic Chemistry in 2008. At Berkeley, he worked on the synthesis and characterization of microporous metal-organic frameworks for hydrogen storage under the supervision of Prof. Jeffrey R. Long. After a two-year stint as a postdoctoral associate working on heterogeneous electrocatalytic water splitting with Prof. Daniel G. Nocera at MIT, he became an Assistant Professor in the Department of Chemistry at MIT in July 2010. For his research on microporous materials with applications in energy storage, conversion, and heterogeneous catalysis, he was awarded the US Department of Energy Young Investigator Award in 2011, a TR35 award from MIT’s Technology Review recognizing the most promising inventors in the world under the age of 35, the Sloan Fellowship and Cottrell Award in 2014, and the NSF CAREER and Exxon Solid State Award in 2015. In 2016, he was named a Dreyfus Teacher Scholar and was selected for the Alan T. Waterman Award, NSF’s most prestigious award in all sciences and engineering to any single person under the age of 35. 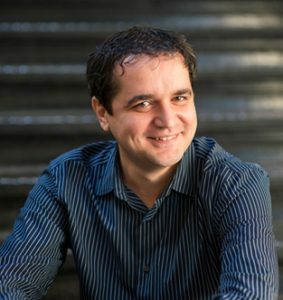 Dincă was promoted to Associate Professor in the Department of Chemistry at MIT in 2015.